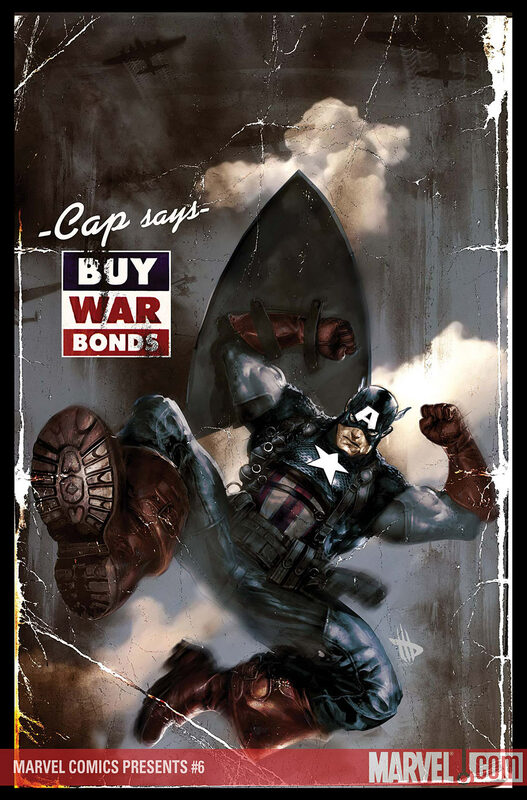 CAPTAIN AMERICA leaps into action in WWII-and the Sentinel of Liberty's actions affect not just the fighting troops-but even a man judged unfit for combat! Plus-KA-ZAR and SHANNA bring together the tribes of the SAVAGE LAND to fight a common foe…but how long can they stay united? Meanwhile, Detective STACY DOLAN tracks down a wanted terrorist-one she thought she already put behind bars-and an unexpected guest star reveals his link to the mystery of the VANGUARD. And finally-Michael Pointer, the GUARDIAN, has been hearing things…things he does not want to hear…in WEAPON OMEGA.